As of now you know, Georges St-Pierre returned to UFC Octagon after the hiatus of four years, took part in UFC 217 shock everyone by submitting the Michael Bisping in the third round to score the middleweight title and the fourth man in UFC history to hold title in multiple divisions. White repeatedly said that GSP is “contractually require” to defend his belt against interim champion Robert Whittaker next, his future has been up in the air and there have been rumors about a move back to welterweight, It seems that plans for GSP’s next fight are on hold. Once he returns, would he take a turn to potential fight with welterweight champion Tyron Woodley or even lightweight star Conor ‘Notorious’ McGregor? Well, time will tell whats in his mind. Post-fight, coach John Danaher’s discussed GSP’s weight gain situation on official Instagram. Colitis refers to inflammation of the colon and can cause abdominal pain, diarrhea, and cramps. 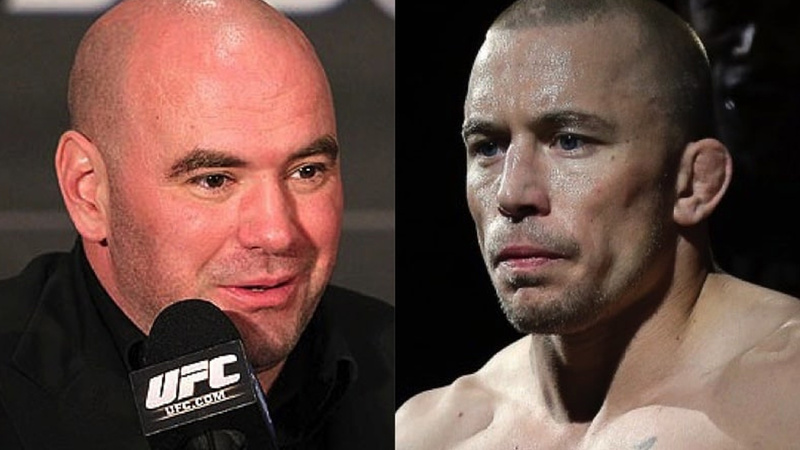 Dana White didn’t offer much details on the severity of GSP’s condition or when he will return to Octagon.